The Diamond City Partnership (DCP) is Wilkes-Barre’s alliance for downtown revitalization, serving as the caretaker of our community’s vision for Downtown Wilkes-Barre. DCP was founded in 2001, when almost 1,000 citizens met in a series of public visioning sessions to craft strategies for a better Downtown. Today those strategies are being implemented by DCP, a not-for-profit downtown management organization whose work plan is intended to improve the economic vitality and livability of Downtown Wilkes-Barre. 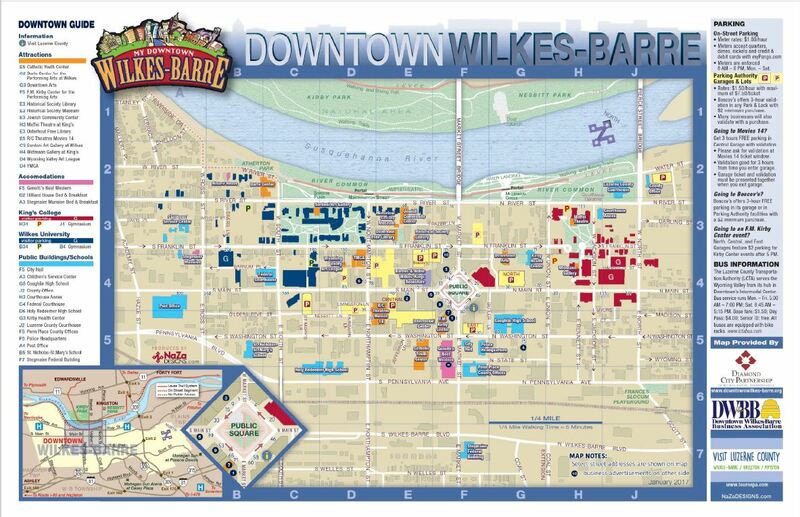 DCP also administers the Downtown Wilkes-Barre Business Improvement District (DWBBID), which provides a range of place management services to the properties and businesses of Downtown Wilkes-Barre. Since its founding, DCP has realized many accomplishments and goals. DCP is funded primarily through DWBBID assessment revenue and contributions from local non-profit institutions. Additional funds are raised through sponsorships and grants for special events. DCP is governed by a 40-member BOARD OF DIRECTORS which includes representatives from downtown property owners, businesses, residents, educational and religious institutions, and local government. DCP’s organization and activities follow Pennsylvania’s Main Street Program model. DCP’s committees and workshops are open to everyone who is interested in volunteering their time to improve Downtown Wilkes-Barre. To get involved, simply contact us.